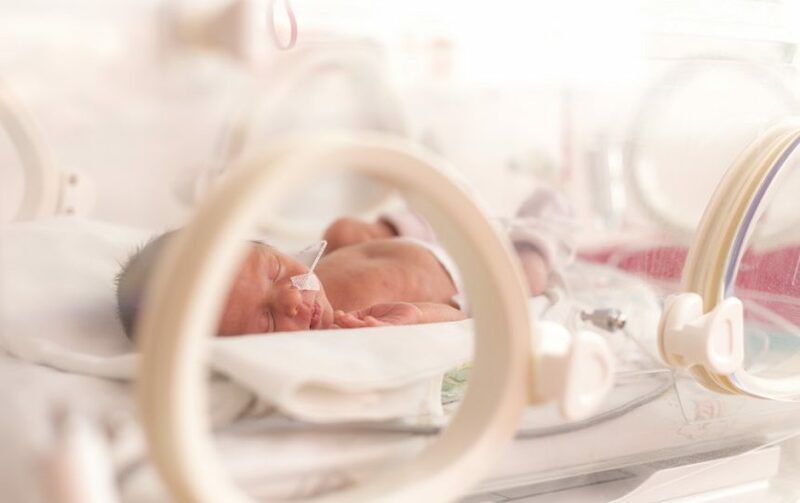 Investigators observed lower odds for cerebral palsy and hearing impairment with early caffeine administration among premature infants. Caffeine therapy to prevent or treat apnea of prematurity within 2 days of birth is associated with a lower incidence of severe neurologic injury and lower neurodevelopmental impairment compared with caffeine therapy after 2 days of birth in preterm infants, according to study results published in Pediatrics. A total of 2108 preterm infants (<29 weeks’ gestation) who were admitted to Canadian Neonatal Network units received either early caffeine therapy (n=1545) or late caffeine therapy (n=563). Early and late caffeine therapy were characterized as caffeine administration within 2 days of birth and after 2 days of birth, respectively. The primary outcome was composed of significant neurodevelopmental impairment, which was characterized by cerebral palsy or a Bayley Scales of Infant and Toddler Development, Third Edition, composite score <70; bilateral visual impairment; or hearing aid or cochlear implant at 18 to 24 months’ corrected age. Compared with the late caffeine group, infants in the early caffeine therapy group had lower rates of bronchopulmonary dysplasia (adjusted odds ratio [aOR] 0.61; 95% CI, 0.45-0.81), patent ductus arteriosus (aOR 0.46; 95% CI, 0.34-0.62), and severe neurologic injury (aOR 0.66; 95% CI, 0.45-0.97). Early caffeine therapy was also associated with lower neurodevelopmental impairment (aOR 0.68; 95% CI, 0.50-0.94) and odds of Bayley Scales of Infant and Toddler Development, Third Edition, cognitive scores <85 (aOR 0.67; 95% CI, 0.47-0.95). In addition, propensity score-based matched-pair analyses demonstrated lower odds of cerebral palsy and hearing impairment with early caffeine administration. The lack of a set guideline for caffeine use across centers and the lack of data regarding specific caffeine dose used represent 2 limitations of the study. Lodha A, Entz R, Synnes A, et al; investigators of the Canadian Neonatal Network (CNN) and the Canadian Neonatal Follow-up Network (CNFUN). Early caffeine administration and neurodevelopmental outcomes in preterm infants. Pediatrics. 2019;143(1):e20181348.